Hoo, boy. I'm talking about a Sam Adams seasonal in this time around which is, as I see it, pretty ambitious because of the amount of respect and influence Samuel Adams, as a craft brewery, commands. The company always has a wide number of brews on the market: some that appear, disappear, and reappear with the seasons and others that one can always find at your local grocery store/gas station/alcoholic beverage provider. I feel bad because, while I understand the importance of Sam Adams and commend it, I've only had a handful of their offerings: their OctoberFest, Harvest Pumpkin Ale, and Bonfire Rauchbier (seriously, I haven't even had a Boston Lager). Samuel Adams is flagship product of the Boston Beer Company and has been around (with that name) since 1985 (five years longer than I have!). At that point, craft brewing was pretty much a foreign concept . Sam Adams started with a single brew thirty years ago and their name and logo is now on many, many more. Seriously, check out their page about all the beer they make. There are seventy-five different beers there. That's impressive. And before now, I'd only tried three. But now I can say I've tried four by adding Cold Snap to my list. It's late-January so that means everyone is dreaming about the warmer weather spring will bring , breweries notwithstanding. When I picked up a six pack at my local gas station the other day (for a paltry $8.99), I noticed other spring seasonals sharing its shelf. One of these, Blue Moon's First Peach Ale, I'll probably buy and try soon. Speaking of Blue Moon, it's an awesome segue into my next point which is that I find that Cold Snap tastes eerily similar to Blue Moon's Belgian White. Not that this is a bad thing. Under the right circumstances I love a good Belgian White (other times it only strikes me as pretty good). Thinking about it, this is a very sensible comparison, though; Cold Snap is, according to its packaging, a "...refreshing WHITE ALE [that] awakens its smooth wheat body with the subtle of spring spices like fresh ground coriander, hibiscus, & plum." The official Cold Snap page also mentions "...the subtle sweetness of an orange peel..." which further validates the sensibility of the comparison. 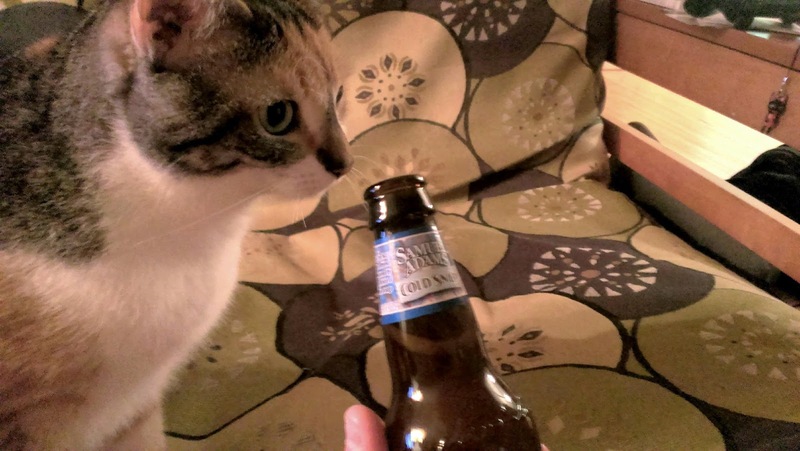 I know what you're probably wondering: what does the cat think about the beer? 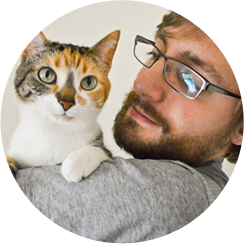 To answer your question, Purrl likes it! She gave it a whopping eight hiffs meaning that it's as good as most of the beers she's smelled. Maybe with her super nose she can suss out the various hints of coriander, plum, and hibiscus because I sure as hell can't. Breathing in the bottle's aroma, all I get is wheat and orange. However, I find the flavor easier to pick apart--I taste the orange and the distinctive flavoring only a wheat beer can have but I can also pinpoint the plum in the aftertaste, probably the hibiscus and coriander (I honestly have no idea of what these are supposed to taste like). My last review didn't touch on mouthfeel so I'm going to try to rectify that here. Each swig is bubbly with just a hint of foaminess. It's nice and full--round, in a way, if that makes any sense. The only downside to this is that the mouthfeel of it belies the flavor. I guess I just wish that the taste had more oomph (although, to be fair, the 5.3 ABV is exactly what I'd expect from a brew like this). The winter after my 21st birthday I was all about Blue Moon's Belgian White. In my severely-limited beer experience then, it was my favorite brew. I was living in a two-story townhouse apartment at the time and at night, with the living room light on, the place had an orange-ish hue. Because of Cold Snap's flavor, that's what it reminds me of; not any specific point in time but that apartment after dark. 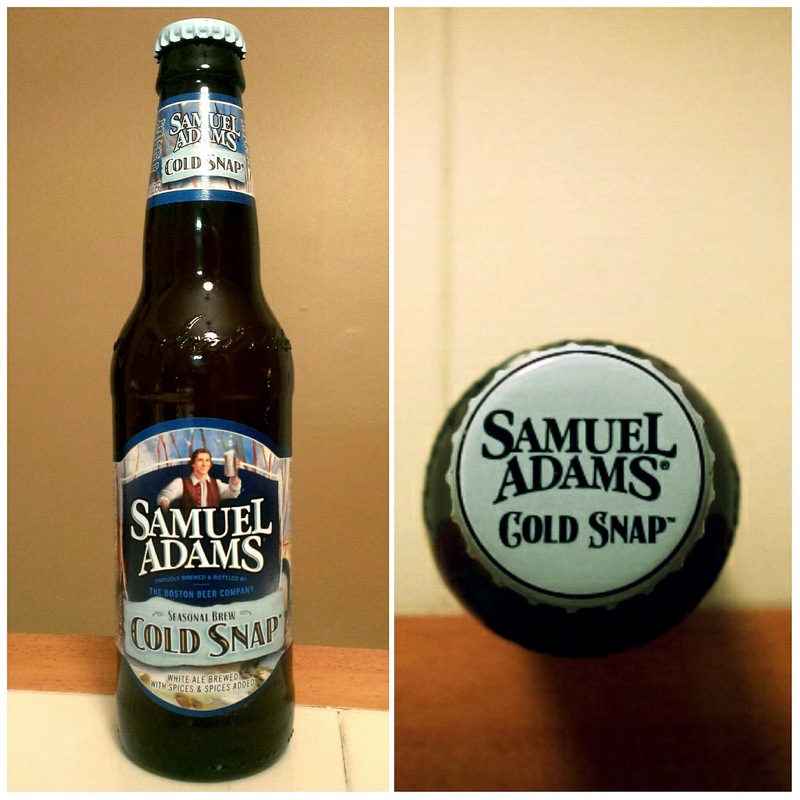 Samuel Adams' Cold Snap Seasonal Brew is a good beer. Not something that I'd buy in a six pack again but good nonetheless (depending upon how I'm feeling I'd probably get a pint of it at a bar). As such I give it a commendable 7.5/10. If you like wheat beer, or, much more specifically, Blue Moon's Belgian White, give it a shot. It's probably right up your alley.